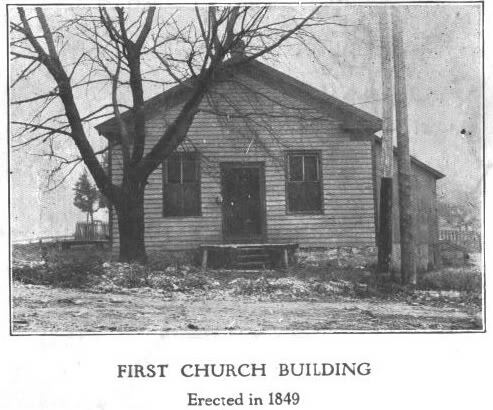 In 1836, the First Methodist Church circuit-riding preacher appeared; at about the time the Blackhawk and other tribes of Indians were being removed to reservations from around the Savanna, Illinois area. With saddlebags carrying nearly all his small possessions, he had plodded up the banks of the mighty Mississippi to the settlement. The first white settlers had come to Savanna in 1828 and included several Methodist families: George and Vance L Davidson, Aaron Pierce and William Blundell and their families and the Ashby's. From this little Methodist Society has grown the present United Methodist Church of Savanna, Illinois. The Rev. James McKean had been appointed in 1835 to the Buffalo Grove Circuit, which included Savanna and its Methodist families. Rev. McKean was a busy preacher visiting and preaching to families in a vast territory between Galena and Rock Island and between the Mississippi and Rock Rivers. The circuit included such distant appointments as Dixon, Mt Morris, Lighthouse, Byron, Hanover, and Savanna. The Methodists were reported to number two hundred and twenty-two in the year 1836. It is difficult for us to imagine the hard life of the traveling Methodist preachers in this wild new country of the Savanna Circuit. Because these early preachers were nearly all single men and because they traveled mostly on horseback, the homes in which they lived were not very important and more often than not a shanty attached to a regular member's house would be the preacher's resting place. In 1842, the sixty-Mile-long Savanna circuit was divided because it had grown so large. Then, in 1843 the County Seat was removed from Savanna, to Mount Carroll. this strange turn of politics caused savanna to lose some of its prestige, so the name of the circuit was changed to "Mt. Carroll circuit." from 1845 until 1857 Savanna was part of the Mount Carroll circuit, but in 1857 savanna again achieved the status of a single appointment. During the twelve years that Savanna was a part of the Mount Carroll circuit, it is possible that the Savanna church records were absorbed at the new county-seat and never returned, for Savanna Methodists have no official records for those years. it seems that the earliest savanna records date back only to January 3, 1858. "The tenets of the Methodist church were to be primitive, decorous, modest--women were to dress plainly, wearing no ornaments, comfortable but not flashy clothing, never posing to attract attention, always at home attending to the physical welfare and spiritual concerns of the family--men were supposed to refrain from all immorality and to work diligently for support of the family, to be humble at all times and in all places." From Mr. Pierce's records it seems that the first Methodist church edifice in Savanna was built in 1849, "a barn-like sort of building." Mr.. pierce also gives a word picture of the rugged setting for worship, telling of the saw-mill proprietor who donated slabs of hardwood which were then bored with holes into which wooden pegs were set at just the right height so that adult worshipers could have a seat of sorts. He says that Sunday school in those harsh days was solemn and full of warnings of 'punishment over there.' he writes: 'my remembrance of my Sunday school instruction was of a forceful duty rather than of a happy delight.' my, what a different we are having now with Sunday school in a bright new building, fitted out with all kinds of lively visual aids and beautifully printed lesson materials, taught by sympathetic and winsome teachers! 'Going back to 1866, Rev. William A. Cross, was appointed to Savanna and laid the foundation for a new church. Hiram U. Reynolds succeeded Rev. Cross and under his administration the church (building) was dedicated on may 26, 1868, amid great difficulties but, nevertheless, triumphantly, at a cost of $3500. It appears that the original church building erected in 1868 on the south-west corner of Third and Van Buren streets passed eventually into the hands of the school district and served their purposes briefly, but was finally torn down. From sketchy records, it appears that a one room frame church building was somehow acquired which was remodeled during the pastorate of Rev. Christian F. Kleihauer, 1906-09. The old frame building was raised some ten feet to provide a basement for classes and the whole building was given a veneer of brick, costing some $6000. a dedication service on November 1, 1908 culminated a week of celebration and thanksgiving. Rev. Synwolt reports that the original parsonage was replaced with a brick building in 1927 during the pastorate of Rev. A. J. Bishop, at a cost of about $8500. This parsonage still stands at 519 Third street. As the years came and went Methodism in Savanna continued to grow until it became the largest protestant church. 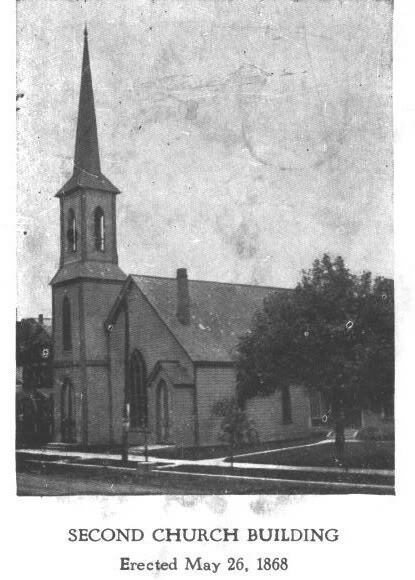 After 1908 the brick veneer church on Third street was redecorated several times, and lots and houses adjoining were being purchased and used for additional Sunday school space. In the 1950's it became evident that even this would not continue to meet the needs of the growing congregation and its many activities. Thought and planning was given toward tearing down all the exiting buildings and erecting a larger building, but it was apparent that parking would always be a major problem. In February of 1959, a building committee was created by the official board with Mr. Arthur Weidman chairman and their work resulted in a congregational vote on July 24, 1960, to purchase a nine acre site on highway 64 at the east edge of Savanna. During the pastorate of Rev. William P. Moore, final plans were approved on April 8, 1964, and the building committee was instructed to proceed with the building program. The borrowing of funds was authorized and the trustees were instructed to sell the old properties. The ground-breaking ceremony was held June 7, 1964 and construction started immediately. 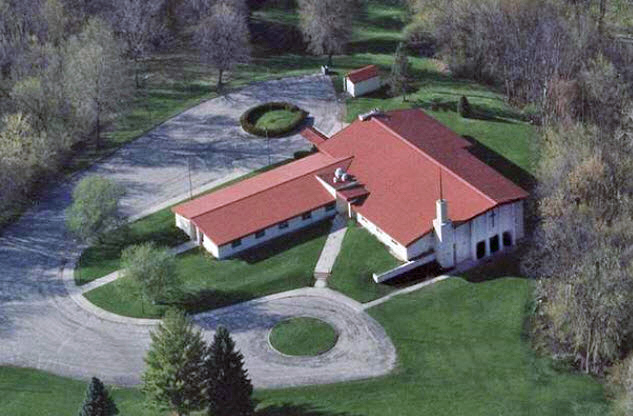 The new building was completed ahead of schedule, and on March 7, 1965, the first worship service was held in the new building. On October 16, 1966, a member of the church, Mrs. Clarisse Carmen, presented the church with a triangle shaped piece of land which separated the Savanna city limits and the new nine-acre tract on which the 'hillside contemporary' building was located. By thus making the church contiguous with Savanna boundaries, the city council on May 13, 1967, voted to annex the United Methodist Church property. The beautiful, modern building represents the effort of many. It represents the prayers, plans, sacrifices as well as the gratitude of members and friends. Gifts from the estates of Miss Ruth Nehrkorn, a devoted member of the church during her lifetime, and of Mr. A. O. Elliott, a concerned friend of the Savanna churches, made possible the dedication of the church in 1977. On April 10, 1977, the mortgage was burned during the worship service. Bishop Paul Washburn conducted the service of dedication. September 11, 1977, the community was invited to share in a service of celebration. A dream had become a reality! The Methodists have been blessed with the opportunity to serve Christ in Savanna. May the church further a community of faith as it proclaims god's unconditional love and nurtures all in a lifestyle based on the acceptance of god's grace.